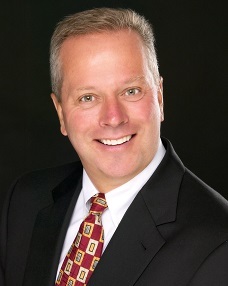 Dr. Mark Panneton is a 1987 graduate of the Creighton University Dental School. After graduation he completed an Advanced Education in General Dentistry residency at Creighton University where his primary focus was oral surgery. Dr. Panneton has also completed extensive training in orthodontics, implants, and reconstructive dentistry. He is dedicated to finding common sense solutions to problems that affect the overall systemic health of his patients. By utilizing sedation dentistry, Dr. Panneton is able to achieve full mouth restorations in two visits. Working in conjunction with oral surgeons and plastic surgeons, he has helped restore patients who have been involved in traumatic injuries back to dental health. He has been practicing in the Sarpy County area for over 20 years. Currently, he practices dentistry with an emphasis on aesthetics and reconstruction at Panneton Dental Group in Omaha and at Val Verde Dental in La Vista, Nebraska. Dr. Panneton has been providing care for the Lancer hockey team for over 20 years. Dr. Panneton enjoys spending time with his wife Nicole and his four children, Lindsey, Derek, Cooper and Ava. Dr. Casey Sexton is a 2012 graduate of the University of Nebraska Medical Center College of Dentistry where she graduated with high distinction. While attending dental school, Dr. Sexton was an active member of ASDA. She enjoyed volunteering for sharing clinics, dental days, and the Nebraska Mission of Mercy to provide dental care for those in need. Since graduating, Dr. Sexton has become a member of the American Dental Association. Dr. Sexton is continuing her education by attending courses in CEREC technology, implant dentistry, and laser treatment. 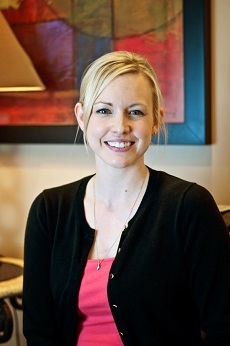 She enjoys all aspects of dentistry including preventative, aesthetic and reconstructive. Dr. Sexton spends her free time with her husband Matt and their three children. They enjoy going for walks with their dog, visiting family, and being outdoors. For all your dental needs, you can count on Panneton Dental Group to provide you with quality dental service. Call us today at 402-218-4110.